While many car makers are moving to equipping engines with timing chains, there are still a lot of engines that have a fiberglass reinforced rubber timing belt that has a limited life span. Running the Timing Belt past its replacement interval runs the risk of its breaking, and this can result in expensive engine repair. Different shops have different ideas of the correct way to replace timing belts. The real question that needs to be asked is “will this water pump or idler or timing belt tensioner last all the way up to 210,000 miles with failing?” The answer in most cases is no, which means that before the appointed mileage for the next timing belt replacement comes around; you’ll be paying someone to go back into replace something that should have replaced when the timing belt was initially serviced. Bron’s Automotive believes so strongly that this is the right way to perform timing belt replacements that we will warranty our timing belt replacements for the same mileage as the manufacturers interval. So, in the Subaru example above, Bron’s Automotive provides a parts and labor warranty that lasts 105,000 miles! I don’t have to tell you that to do this, Brons uses high quality parts, in many cases the same brands as the car maker used on the assembly line. Many engines today are equipped with variable valve timing and double overhead camshafts, which makes it critical that the technicians performing this service are highly trained and have the special tools for the job. 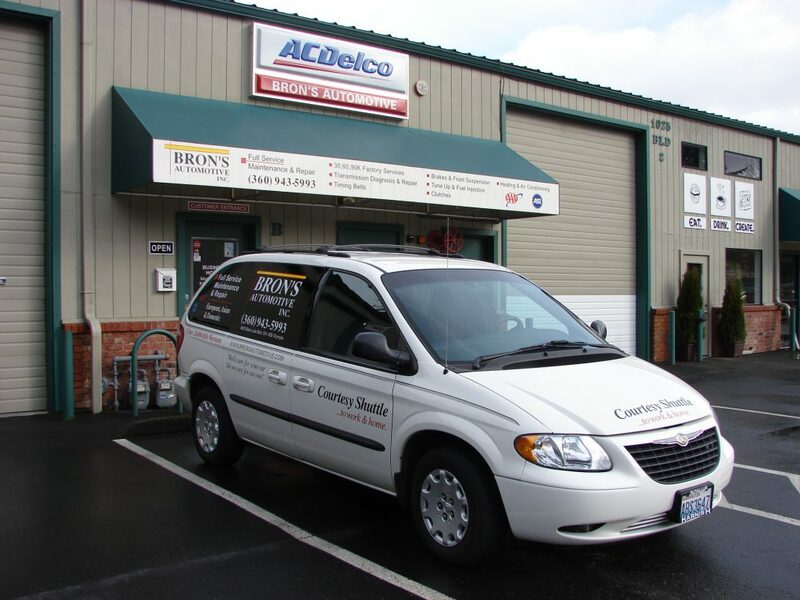 Trust your cars timing belt replacement job to Brons Automotive for the best quality and the best warranty in town. Link her for an appointment or call Joey at 360-943-5993.